You usually plant Garlic during the second or third week of October, depending on where you live, and then cover in at least 6 inches of a good mulch of shredded leaves or grass clippings, and harvest the following July. Getting the soil ready is an important and often neglected prerequisite for successful garlic growing. Although garlic evolved in poor soils (most likely in the desert regions of Siberia), application of organic matter to the soil prior to planting will definitely increase your yield. Late summer is the best time to add compost or well-rotted manure to the site where you intend to plant. To prevent weed growth between when you are finished with preparations and when you plant, cover the bed with black plastic or heavy mulch. You can add a little more nitrogen to your garlic bed in the spring in the form of compost or rotted manure, but lay off after that; too much nitrogen may cause premature yellowing of the leaves. 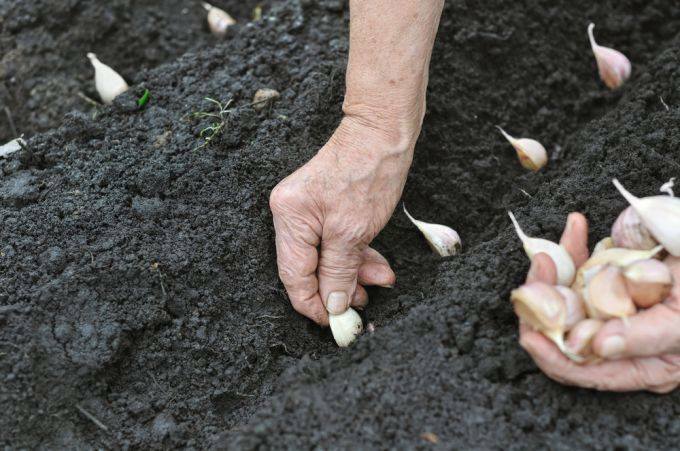 When you’re ready to plant, it’s best to divide your garlic bulbs into cloves before starting. Plant the cloves 6-8 inches apart, in rows or double rows with room to weed in between. You may have to remove some of the mulch in the spring if it is compacted and impedes your plants’ growth. Often, though, the mulch breaks down enough over the winter to allow the garlic to push through. Planting garlic is a joy because the days are crisp and cool and there are few pests that bother garlic. In fact, it is often used in companion plantings to protect other plants from pests. Selecting the type of garlic you want to plant is a matter of individual taste, but be aware that there are many species of garlic out there other than the California white you usually see at the supermarket. There are dozens of exotic varieties available with names like Russian Red, Purple Stripe Porcelain, Rosewood, Kabar and on and on. So-called “hardneck” varieties develop a flowerhead on the stem called a “scape,” which curls and then extends upward, eventually becoming woody (hence the name “hardneck”). Garlic scapes are considered a delicacy in their own right. They are harvested soon after they appear, and are often sold in bunches at farmers’ markets. Cutting the flowerheads off of garlic when they appear also allows more of the plant’s energy to go into producing larger bulbs. Many commercial operations “pop the tops” off of their garlic for this reason. 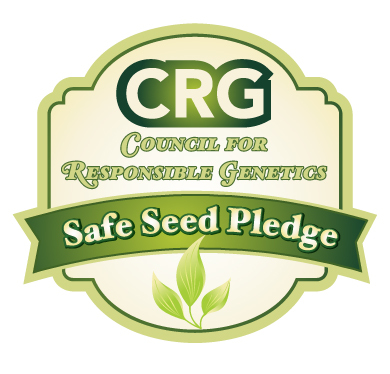 Please visit our website by clicking on the following link WWW.THESEEDGUY.NET and check out the great prices we have on our Small Farm Grown Non-GMO Heirloom Seed Packages by clicking on the following link: I WANT GREAT PRICING!!! You can also call us up to 10:00 pm each night to order by phone @ 918-352-8800. Follow us on Facebook by clicking on the following link THE SEED GUY FACEBOOK PAGE, and if you “LIKE US” you’ll be able to see more of our great gardening articles, new Heirloom seed offers, and healthy juice recipes, and much, much more!